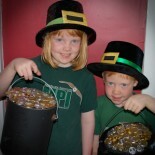 'Lil mischief, family fun, and "Parties We Have Held"
Kids still begging for Easter Egg hunts? Try making your own surprise-filled eggs instead. My kids are still filling and hiding plastic eggs for each other, even though Easter is clearly over. 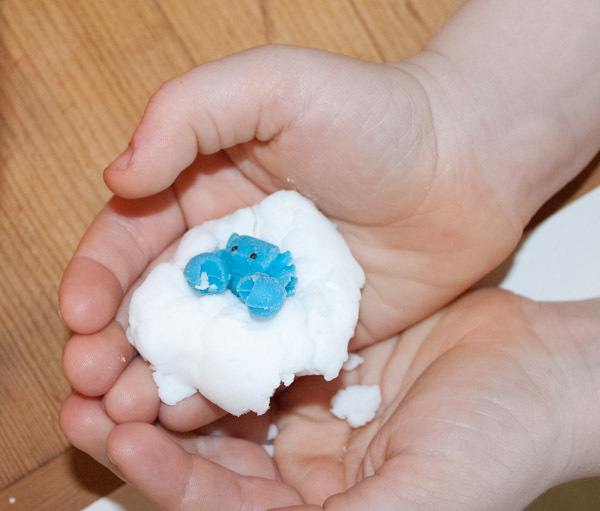 I’ve seen a few make-your-own egg ideas on Pinterest that look fun, so I enlisted the kids to help make our own surprise-filled eggs. This was by far the easiest recipe I found. 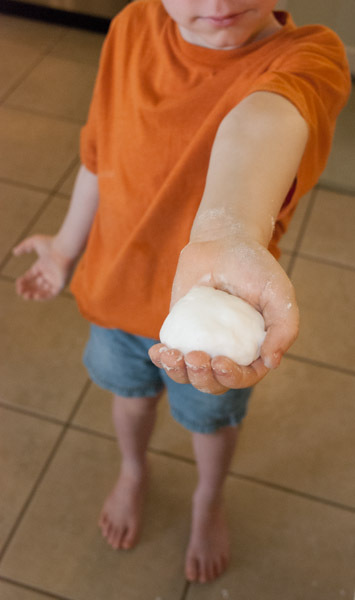 Luca has been polishing pennies after school, using salt, vinegar and baking soda, so I decided to buy the huge bag of baking soda and the giant bottle of vinegar from Costco last week. I was happy that my little purchase would come in handy—in more ways than one. The recipe is simple. 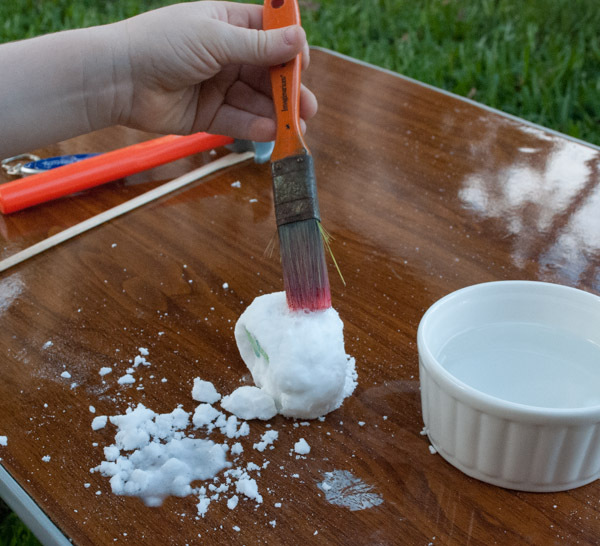 Take approximately one cup of baking soda and mix in a ¼ cup of water. That’s it. You might have to play around with the mixture to get the right consistency. It should resemble “wet sand” at the beach—that good sand castle level of wetness. 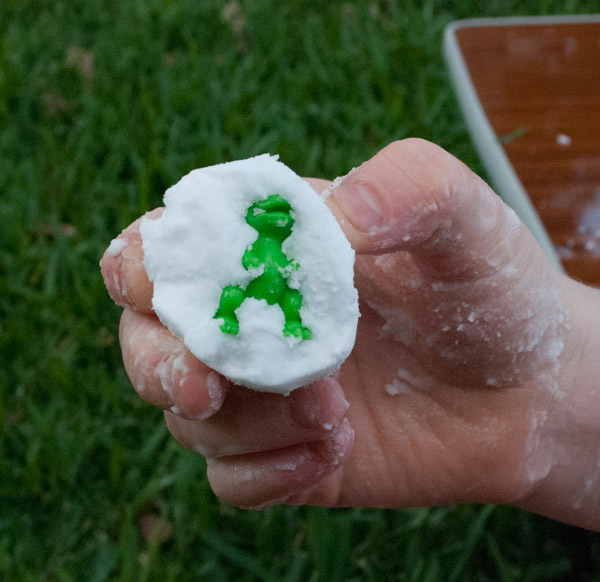 Scoop some baking soda mixture into your palm, add a creature (we opted for aliens and dinosaurs), and add more mixture on top. 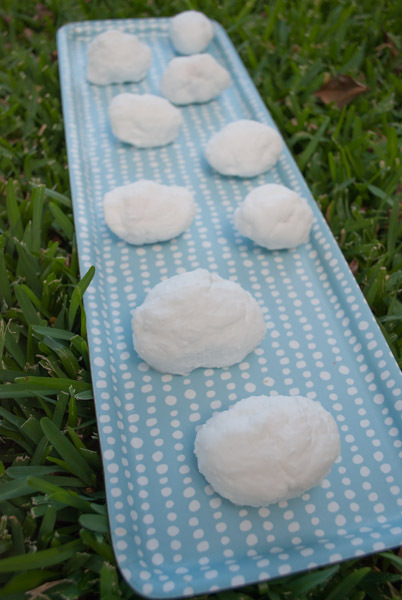 Shape it into an egg shape and let it dry overnight. 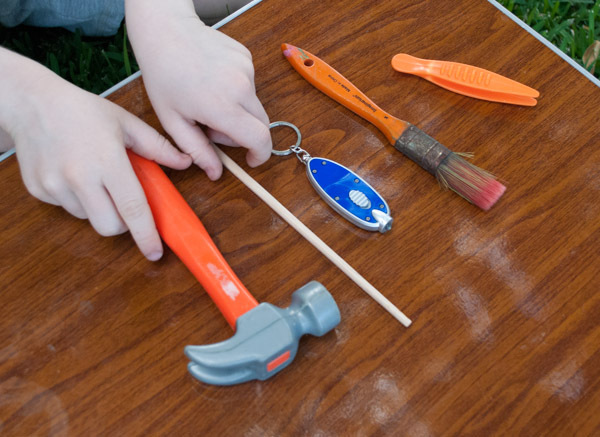 Help the kids assemble their archeology tools. 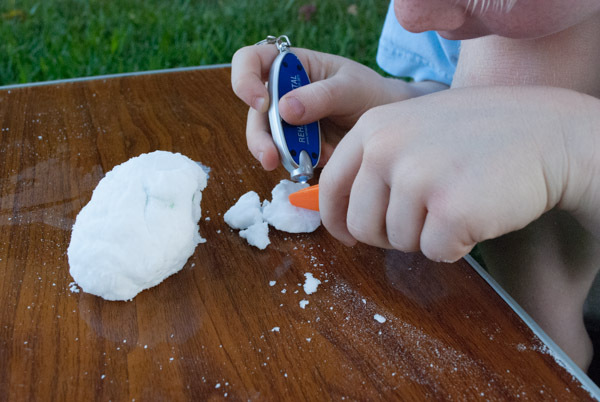 You know, the kind you would use if you were unearthing baby dinosaurs—hammers, tweezers, brushes and flashlight. 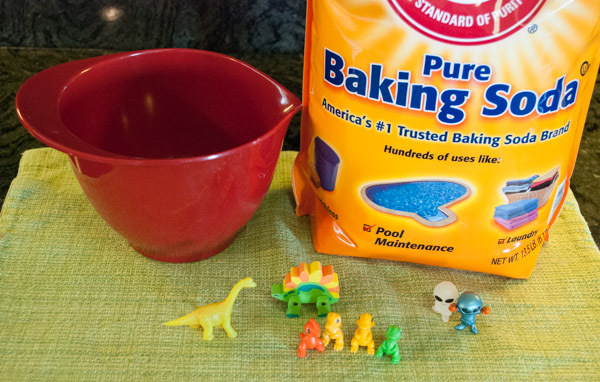 After uncovering the surprise, let the kids give their new toys a quick vinegar bath. This will provide very satisfying, bubbly results. 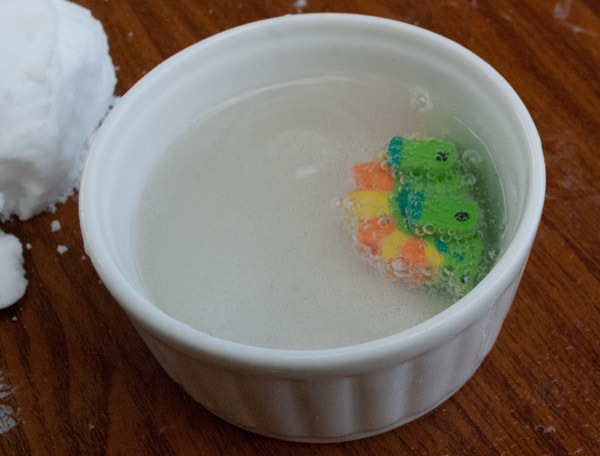 This entry was posted on April 9, 2013 by mdaucello in Crafts and tagged baking soda, craft, dinosaur, egg, vinegar.